Going from cup to cup you realise the purity of this tea. Even made in autumn it would show no bad signs of autumn bad processing. Its silky, soft texture will accompany you for many steeps. Mansa mountain is one of the old Six famous tea mountains. A bit of history won’t harm anyone, still one might say it’s only the past. The Chinese with their several thousand old tea drinking history won’t choose a famous tea mountain just because of lobbyist group wanted to. It all has a reason and karmic consequence. There are several tea mountains in Yunnan, I would say many and only 6 of them were chosen and still to this day valued the most. Yiwu mountain more known is a part of the Mansa mountain still it has its uniqueness, more earthy notes with rooty hints (like all the veggies that are from earth, celery, beetroot, parsley root). Going from cup to cup you realise the purity of this tea. Even made in autumn it would show no bad signs of autumn bad processing. Its silky, soft texture will accompany you for many steeps. 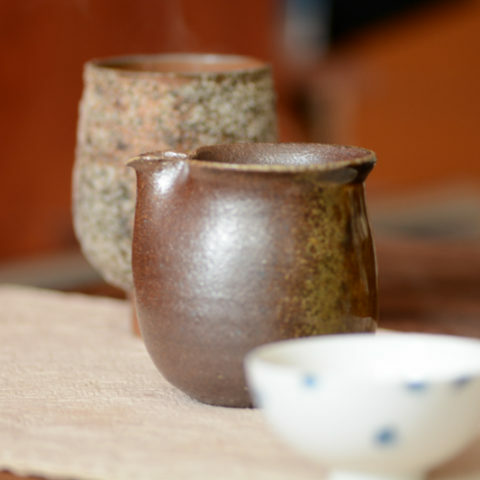 Using a mountain well water will show all of the good and bad characteristics of tea. 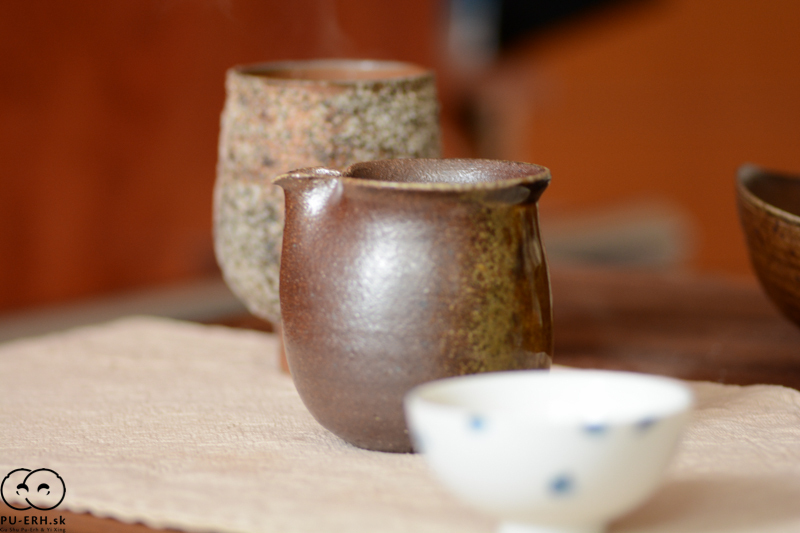 The sweetish character with slight rooty and nutty notes makes it a bit different from Yiwu teas. More nobles, more elegant and more ‘fancy’. The Mansa teas would need years to show its true full value, a year by year they turn to perfume like balsamic liquids that will please one’s mind during cold winter days. They are the Sun that will cause the rapture of the mind. 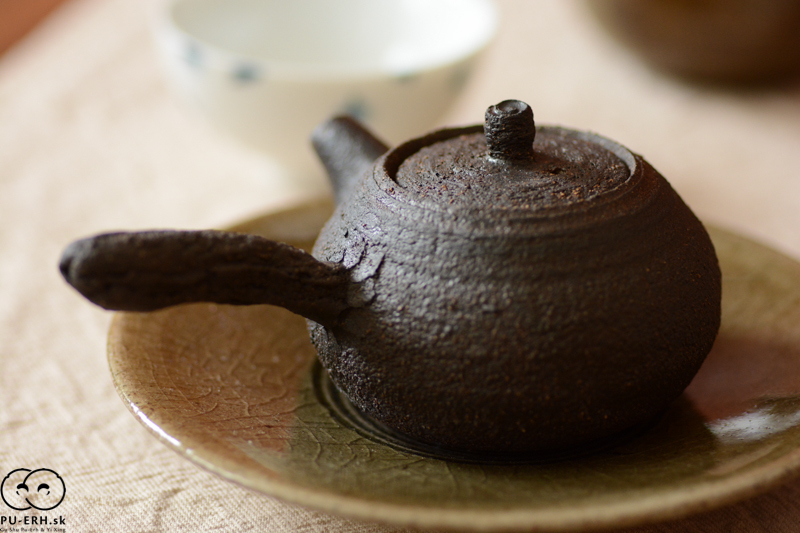 This one is very enjoyable even a few months after the tea leaves were pressed into cakes. 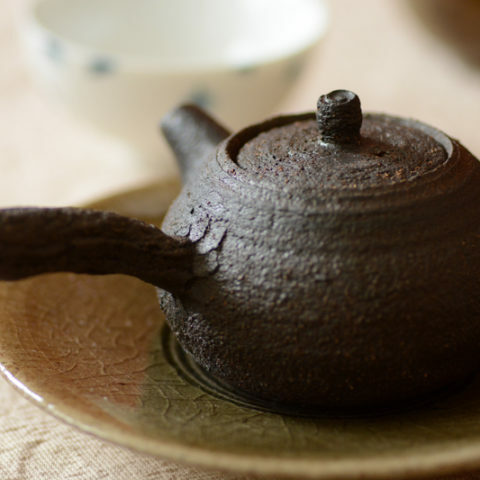 The tea described was Mansa 2017 autumn one, it was carefully picked and selected in October of 2017, left until December 2017 stabilised and pressed on the 2nd of Dec.. Water used was from a mountain well, heated on charcoal in an iron tetsubin, a teapot used was glazed inside black Andrzej Bero one, the pitcher was unglazed and made by Jiri Duchek, a cup was porcelain one from Taiwanese painter Wen-Chiao Lin.